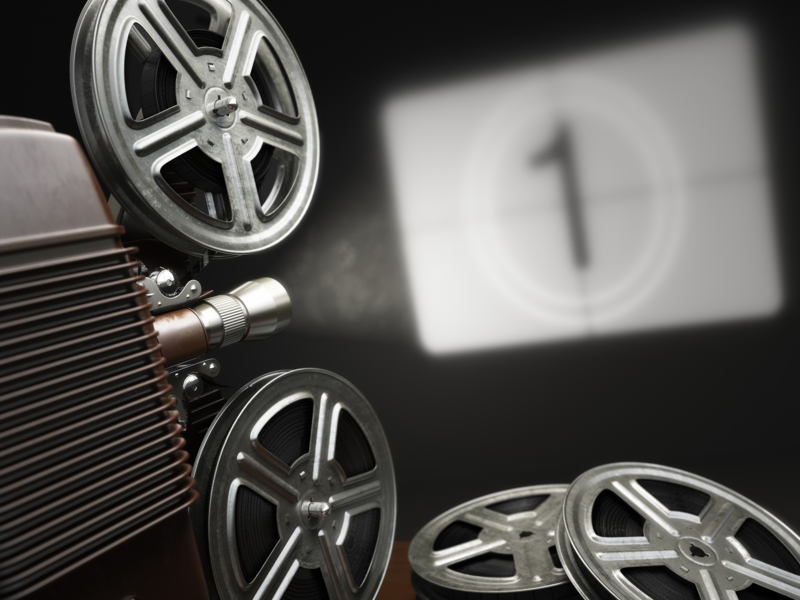 Movies have been made in Hollywood since it was incorporated into the city of Los Angeles in 1910. These early flicks often featured military equipment in the background, such as for an air show. Nonetheless, prior to granting access to its assets, the military ensured that each scene and film reflected its values and presented its soldiers in a positive way. As the nation entered the great wars, the need to project American power and resolve became paramount. Also satisfying the public’s desire for high quality entertainment, military advisers helped film industry professionals make realistic, yet positive, films to support war efforts for both World War I and World War II. In the lull between the two conflicts, the relationship between Hollywood and the military became fixed with the 1927 flick, Wings. With a cast that included 3,000 infantry and featuring U.S. planes (and pilots flying them) in the backdrop of a story of two pilots trying to win the “it” girl, Clara Bow, Wings not only won the Best Picture Oscar that year, but it showed how cooperation between the corps and Hollywood provided huge benefits to both: Hollywood created an authentic military experience and enjoyed commercial and critical success, and the military had what for them was essentially a great recruitment film displayed in theaters across the country. During and after World War II, Hollywood war movies nearly universally featured brave men whose causes always succeeded even if they perished, and notable titles included: They Were Expendable (1945), Sands of Iowa Jima (1949), The Flying Leathernecks (1951), Stalag 17 (1953), The Bridges at Toko-Ri (1954), The Longest Day (1962) and The Great Escape (1963). When I was getting my film degree it suddenly occurred to me that people in the U.S. had never seen the U.S. lose a war, and when President Johnson said we can go into Vietnam and win, they believed him because they’d seen 50 years of war movies that were positive. So important was this relationship that since the middle of the century, the Pentagon has had a permanent liaison stationed in Hollywood, and until 1989, that man was Donald Baruch. Having earned his chops as a theater producer in New York, Baruch was given final script approval on movies that needed military equipment and personnel, and he asserted his authority. He insisted that the image projected of the armed forces and its men be clean-cut and upright. After four decades at the post, Baruch was replaced by Phil Strub, who had studied film at the University of Southern California, before developing a specialty in making movies of medical procedures. He eventually made his way into the Army’s medical research unit and worked as a Navy videographer before moving into the entertainment liaison post. Today, however, Strub is not alone in sifting through scripts to determine which past muster. Service members from each branch are now stationed in Los Angeles where they spend their days studying television and film scripts, including for shows like NCIS and Hawaii Five-O. Together with Strub and the upper brass, their contributions include everything from pitching ideas to ensuring the right equipment is employed. Of course, many war movies are made without military help, and while some titles should be expected, like Apocalypse Now (1979) and The Thin Red Line (1998), others may be more of a surprise. For example, help with Independence Day (1996) was nixed because the invading alien’s overwhelming technological superiority made the “military appear impotent and/or inept.” As a result, its battle equipment was produced with methods such as CGI, as were some of the military crew in Zero Dark Thirty (2012). It should be noted that although the military gains a huge benefit from its positive portrayal in films, it doesn’t spend any extra taxpayer money on these projects. If the producers are directing personnel and equipment outside of normal operations, they pay the costs of operation (which can range from $1,000/hour for a tank to $25,000/hour for an F-15). However, if all they want to do is film typical activity that was happening anyway, once approved, they can do that gratis.